The Benicia Unified School District and police are concerned about a game high school students have been playing for years, a game called “La Migra” or Border Patrol. It’s based on students playing the role of ICE agents, rounding up other students. Cheryl Hurd reports. The Benicia Unified School District is concerned about a game high school students have been playing for years, a game called “La Migra” or Border Patrol. 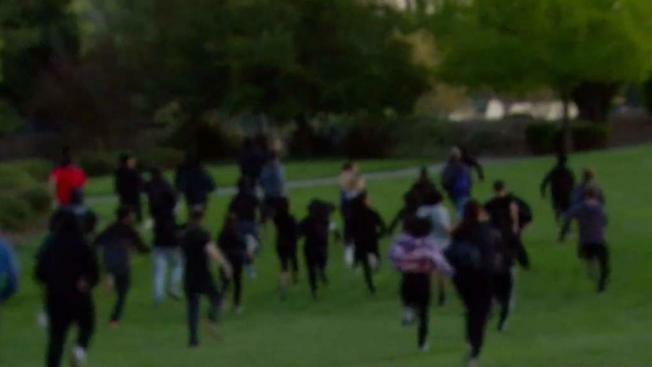 It’s based on students playing the role of U.S. Immigration and Customs Enforcement agents rounding up other students while players say it’s simply a game of tag, according to the district. The annual game features upperclassmen chasing the younger classmen. "They play the role of the ICE agents and the younger students play the role of detainees,” said Roger Yokoi from the Benicia Police. District Superintendent Charles Young said that as soon as the school found out about the event, the Benicia High School principal sent a letter to parents expressing concern over the safety and the offensive nature of the game. However, students say that the game is just a fun pastime. “No one ever says ‘I’m Border Patrol and you’re an Immigrant,’” said Duran Reyes. Other students do not agree with the game at all. “I’m very upset about it but students who participate in this game are not representative of Benicia high school community,” said student Andy Kelly. Students say they are looking into changing the name of the game.